If a person receives goods or services that are unsolicited (not requested), they are usually under no obligation to pay for the product or service. Client has received a sample product or other consumer goods that they did not contract for and wants to know their legal responsibility if they keep the goods. Client ordered a product in response to a mail solicitation and wants to get out of the contract. In general, contracts must be made by mutual agreement (see the Contracts Overview). One party cannot usually impose a contract or an obligation on another person. For example, if a person performs a service without being requested, or if a person delivers a product without the consumer contracting for that product, the consumer is usually under no obligation to pay for the service or product. The consumer may feel morally obligated, but they are not legally obligated. The Business Practices and Consumer Protection Act deals specifically with the situation of unsolicited goods and services. Essentially, the Act clarifies how common-law principles would probably be applied. Section 12 of the Act says that consumers have no legal obligation to pay for unsolicited goods or services unless they specifically acknowledge in writing to the seller that they intend to accept the goods or services. Unsolicited goods or services are defined as goods or services that are supplied to a consumer who did not request them. Unsolicited goods or services do not include goods or services that the consumer knew, or ought to have known, were intended for delivery to another person. For example, a consumer cannot keep the fridge a department store mistakenly delivers to their carport when it was obviously intended for a neighbour across the street. Most consumers regularly encounter instances of unsolicited goods. 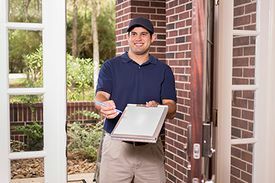 For example, small sample items delivered door-to-door for which the manufacturer has no expectation of payment but hopes will encourage consumers to purchase the full-size product. Consumers may also receive solicitations for goods, rather than the goods themselves, through junk mail advertising. The consumer only becomes liable to pay for the product if they specifically order it. Finally, consumers may receive relatively small items (for example, greeting cards) mailed out by businesses or charities in the hope that consumers will pay for the items. In this last instance, the law clearly says consumers are not legally responsible to pay for the goods and can keep the goods and use them as they wish. Gather and confirm all information about the unsolicited goods or services. You must clearly distinguish between unsolicited goods or services, and solicitations for goods or services to which the consumer has responded. If goods or services meet the description of unsolicited goods or services as described in the Business Practices and Consumer Protection Act, then the client has no responsibility. there is a breach of the sale agreement by the seller (such as through a defect in the goods or services, or through a misrepresentation by the seller). In situations where the consumer has responded to some form of solicitation (for example, by mail, radio or TV), you may find a specific term in the contract that allows the consumer to get out of it (see the section on Opting Out and Cooling-off Periods). It is a common marketing practice for such sellers to offer a limited-time return of the goods for any reason. The matter may be resolved simply by the consumer returning the goods to the seller and requesting a refund. See also People’s Law School’s pages on making a purchase. This page was last edited on 13 October 2018, at 08:45.